GHAT has various opportunities for volunteers, which are crucial to the smooth running of the charity. We offer allvolunteers training, expenses and opportunities to apply for upcoming vacancies and to participate in GHAT projects and events. Our collection includes work from well known artists such as Joyce Cairns, John Bellany, Sandy Fraser, William Littlejohn and Sylvia Wishart, and many others. We currently have 500 art works in storage, a number of which would be difficult to re-hang because of new regulations of various kinds. 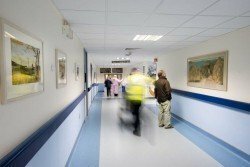 Both Foresterhill Health Campus and Dr Gray’s Hospital (Elgin) are in the process of reconfiguring their facilities, and this will involve removing present art works and issuing new work from the GHAT collection, so there are likely to be storage and re-hanging issues. Over the last four years GHAT has audited and rationalised the GHAT collection and created documentation systems to organise and process GHAT’s data acquisition and data management requirements. 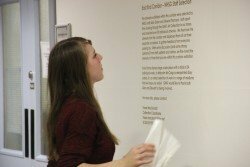 Many of the departments will be re-located in the near future therefore there will be a need to collate, store, sort and re hang up to 1500 artworks within the next two years. Assist with the intake, re-location of displaced art works. 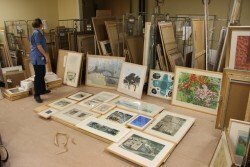 Condition-check, document, carry out basic conservation of artworks currently in storage. Training will be given in all areas. ble adjustments for access and equality. This is a volunteer post and the Collection Volunteer will report to the Collection Manager. There will be an evaluation of the volunteer’s role after an 8 week period. Further training opportunities will be made available to all volunteers on request.